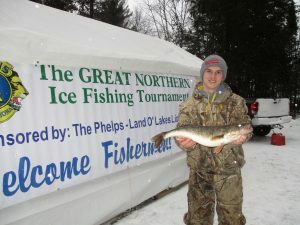 Don’t miss this Ice fishing tournament on Lac Vieux Desert off the West Shore Boat Landing! Sponsored by Phelps-Land O’ Lakes Lions Club. Dinner, prizes and silent auction at Northern Waters Casino Resort.